With Gamma NutraSpray all the Gamma foods can be further enhanced. 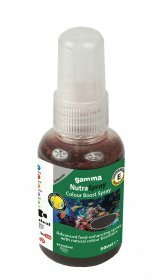 With three products available, you can use the appropriate one required, to enhance immunity, colour or to just to help encourage your fish to feed. 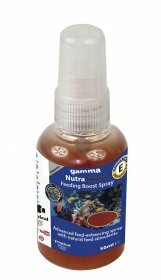 Gamma NutraSpray can be sprayed on any dry or frozen food.